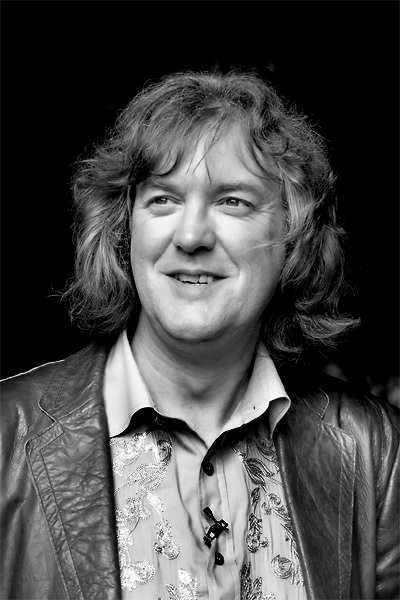 Perhaps one of the most famous of the alumni is James May, who was a former member of Pendle College and graduated in 1985 with a Music degree. He began working in journalism, contributing to several motoring magazines as well as having a weekly motoring column in the Daily Telegraph. May has presented a variety of TV shows but is best known for his presenting role on popular motoring show Top Gear, alongside Jeremy Clarkson and Richard Hammond. As well as this, May has also written an array of different books, from motoring to his ‘Toy Stories’ collection. Another well-known Lancaster alumnus is Andy Serkis who, as a member of County College, graduated in 1985 after studying Visual Arts and Theatre. After graduating in 1985, he worked in the Duke’s theatre and then for a number of theatre companies before moving to TV and film. He is probably best known for his computer-generated characters like Gollum in The Lord of the Rings trilogy and The Hobbit as well as the titular role of King Kong in Peter Jackson’s adaptation. He also starred in the Rise and Dawn of the Planet of the Apes. For his work, Serkis has received an Empire Award, a National Board of Review Award, two Saturn Awards and a Screen Actors Guild Award. Actor Ralph Ineson graduated from Lancaster in 1991 in Theatre Studies, having been a member of Furness College. He is perhaps most famous for his role in the TV series The Office, but has had many other roles in TV and film, not least as Dagmar Cleftjaw in Game of Thrones, as well as in Coronation Street, Playing The Field and Great Expectations. Ineson also starred in the last three Harry Potter films as the death eater Amycus Carrow. Andrew Miller, who graduated in 1995 with a PhD in English and Creative Writing, has gone on to become a successful author, winning the 2011 Costa Book of the Year award for his novel Pure. Prior to this, his first novel, Ingenious Pain won the International IMPAC Dublin Literary Award, the Premio Grinzane Cavour and the James Tait Black Memorial Prize. Kath Durrant studied History at Lancaster and graduated in 1988. Since then, the former Lonsdalian has become the first ever women to have made it onto the executive team of Rolls Royce, and is the Group Human Resources Director for the company. It was in 2009 when Durrant joined Rolls Royce as HR Director – Global Resourcing and Development and she was appointed to her current role in 2011. David Watson, from Cartmel College, now works as the Senior Campaigns Manager for the Prime Minister’s Office at 10 Downing Street after graduating in 1998 in Politics. It is Watson’s job to set up campaigns on high priority issues for the Prime Minister as well as strengthen the marketing and communications capability across government. Nicky Goulder, also from Cartmel, graduated in 1991 after studying Management Science (Marketing) with Arts. Goulder is now the Co-founder and Chief Executive of the charity Create, which she set up herself. The charity, which she has been working on for the past 10 years uses art, music, photography, dance and storytelling to help disadvantaged people across the country. In 2013, Goulder won the Clarins Most Dynamisante Woman of the year for the success of Create. She is planning to use the 30,000 prize in developing lasting projects that help disabled people in the UK. Martin O’Keefe, a former member of Grizedale College, graduated in Politics in 2003 and now works at Buckingham Palace as the Page of Presence. In his role, O’Keefe has the responsibility of serving the Queen and her household by attending to their guests. He is regularly in contact with the Queen and the Royal family as well as many other celebrities and often travels abroad with the Queen on state visits.